This is a magazine article and illustration about breaking soil for the first time in Kansas. 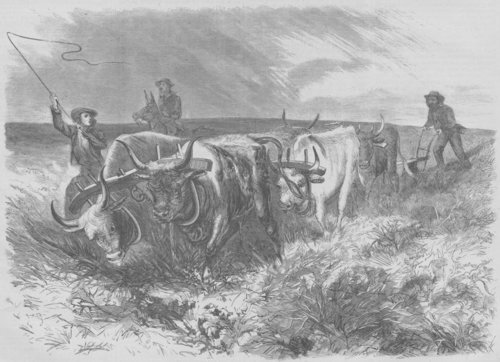 The illustration shows farmers plowing with oxen. It was drawn by Theodore R. Davis and published in Harper's Weekly.